A few weekends ago, I went over to my friend Jenny's gorgeous house in neighboring Leicester (about a 25 minute drive from door to door). Her home, built in the 1800's, is a testament to the staying power of quality craftsmanship. A former glassblower and metalworker, Jenny now spends her time as a bike mechanic (she recently founded an awesome bike school on her property that will teach you all you need to know about the world of cycling, and then some! ), as well as a hobbyist beekeeper. I love going over to Jenny's place. Not only does she provide me with a lovely cup of rose tea and honey (from her ladies, of course) the minute I walk in, her place is cozy and lovely and reminiscent of the south of France, with it's sweeping views of grassy hillsides and lush trees swaying in the wind. My recent visit was to take photos, and take note, of Jenny and her friend Bryan (co-owner of Asheville salon Beauty Parade, as well as an actor in small, independent films) as they split her single hive into two. This is done in order to accommodate a growing, thriving hive of bees that might otherwise swarm should they feel too crowded. The day began a bit breezy and chilly, so we waited indoors for awhile, sipping tea and coffee and chatting (Bryan's very pregnant wife, Terra, and their 3 year-old son were also in tow and were a pleasure to meet, let alone veritable founts of full-on hilarity). As the morning warmed and the wind calmed, we made our way outdoors. Jenny's bees have thrived on her property ever since she first acquired them. Her love and attention, and probably their prime digs on a south-facing hill, have aided in their doing remarkably well during a time of considerable losses for many beekeepers. The split was a success. Bryan and Jenny transferred several supers full of bees and brood at varying stages of development onto a new bottom board and topped off both the existing hive and the new split with empty supers full of frames with foundation, screened inner covers (which I'd never seen before and was pretty enthralled by), and gorgeous copper-topped telescoping outer covers. I've provided some photos above of Jenny's set-up. To view images of the split itself, check out my Flickr page. Jenny has been an absolutely indispensable beekeeping mentor. We met almost a year ago at a "swarm" of female beekeepers get-together and became fast friends. If you're new to the world of beekeeping, I cannot stress enough the importance of buddying up with another beekeeper in your area. While books (included my forthcoming one, "Keeping Bees", out next spring) are invaluable tools in your apiary arsenal, nothing beats the real world, tactile, lived experience of a seasoned beekeeper. Find a buddy and you'll both be catching a buzz. I've met a good deal of wonderful people through this blog. A handful of them have gone on to become trusted friends and confidants. I've come to know the regulars, sort of like an online version of "Cheers", looking forward to their comments and smiling to myself when they drop by. Cyn of River Dog Prints has proven to be not just a regular reader but a gracious bestower of gifts, as well. Back in the fall, she sent me a lovely package of canning labels. After a brief q&a a few weeks ago about what I feel is missing in the world of canning labels, the goodies pictured above showed up in my mailbox last week. She was at it again, making gorgeous labels and tags in a variety of colors, graphic prints, and sizes. Now both my large and small lids can be properly tricked out, with ample room left on top for writing in pertinent information such as what's inside and when it was made. One of my greatest pleasures derived from penning "small measure" has been the opportunity to meet and connect with people I might never otherwise have had the fortune of meeting. Cyn is one such person. I'm incredibly grateful for your continued, and consistent, patronage. Many, many thanks! Lately, I've felt as though I'm continually engaging in a Sisyphean battle with the 8-ball; I'm finding that I'm perpetually behind it. Maybe it's on account of the colossal shift in my schedule since late March, when I handed over the remaining bit of text on my last book, "Keeping Bees" (the fourth in the "Homemade Living" series). My days opened up into wide expanses of time. The schedule of the past two years coming to an abrupt halt, I've found myself attempting, futilely, to juggle all of the balls that have fallen to the wayside and been relegated to the back burner while I've labored fastidiously on writing. In any event, I know things will settle. I'll fall into my new schedule. I'm digging my new job. Exciting prospects are on the horizon. I was featured in this magazine. I've got an interview with a reporter for the Washington Post at 11 a.m. today. I'll be hopping up to the Big Apple next Tuesday and Wednesday for a dinner at this place with the entire sales staff of Sterling, my publisher's parent company. I haven't been to New York in a good number of years, so I'm especially looking forward to that tiny vacation. One of the many tasks I've been intending to get to that fell, somehow, through the cracks, involves participation in this month's Tigress' Can Jam. The chosen ingredient to bottle up in jars for April was herbs, chosen by Marisa over at Food In Jars. Tigress, in her endless graciousness, sent me a head's up that I'd missed the deadline, but said she'd still allow my recipe's inclusion if I could post by Wednesday. And so, I offer you "Herbed Pickled Asparagus." The recipe, one of the Spring offerings in my "Canning & Preserving" book, couples fresh, seasonal asparagus with a medley of herbs. I chose marjoram and oregano, but in truth, you could just use whatever your preferred herb is, or whatever you might simply have on hand. Thank you, Tigress, for the grace period. Happy canning, everyone! Oh, and 8-ball, consider your self forewarned; I've got my eye on you. 1. Sterilize 4 pint-sized mason jars, lids, and screw rings. 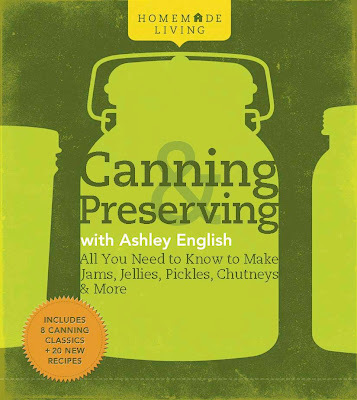 Fill a canner of large stockpot with water and set over medium-high heat. Bring just to the boiling point. Place the lids in a small saucepan, fill with water, bring to a boil, turn off the heat, and set the pan aside. 2. Wash the asparagus and trim each spear to 4 inches. Quickly blanch the spears by placing in boiling water for 1 minute, then immediately plunging into an ice-water bath. Remove from water and pat dry. 3. In a heavy, medium-sized stainless steel saucepan over medium-high heat, combine the vinegar, water, sugar, and salt. Bring the brining solution just to the boiling point, cover, and remove from heat. 4. Place the hot jars on top of a kitchen cloth on the counter. Pack the asparagus spears into the jars, tips pointed down. Add 1 sprig of oregano and 1 sprig of marjoram to each jar. With the help of a canning funnel, ladle the brining solution evenly over the asparagus, reserving 1/2-inch headspace. Use a nonmetallic spatula to remove any trapped air bubbles and wipe the rims clean with a damp cloth. Place on the lids and screw bands, tightening only until fingertip-tight. 5. Using a jar lifter, place the filled jars into the canner. Process for 20 minutes, beginning processing time only once water is at a full, rolling boil. Remember to adjust for altitude. Wow. So, the other day, when I talked about hopefully catching my breath this week? Yeah, so much for that. This past week was full of sheer madness. To begin, my new job, which I adore, saw me up at 4 a.m., twice. In order to arrive at work at 5 a.m., it's necessary that I tug-of-war myself out of bed well before the slightest sliver of sunlight warms the eastern sky. I know I'll get used to it, but doing it twice in one week was brutal, to say the least. My zombie-like, eye-rubbing, out-of-sorts situation was compounded by an internet that was on the fritz. As I rely heavily on the world wide web for much of my work, hubs and I had to pack up and set up shop in a nearby coffee shop several times during the week while we chinked away at solving our internet conundrum. After trying both a new modem and then a new router (neither of which solved our quandry), a technician came out this morning and saved the day. We're back in business. WHEW! Meanwhile, my "Small Measures with Ashley" post went up on Design Sponge on Friday. Inspired by Earth Day, I chose "Earth Day Eating, Everyday" as this week's topic. I'll be in bed in 1 1/2 hours, gearing up for another early morning at the bakery. I'm on my own tomorrow (at least for the first few hours until the owner, Jodi, comes in), as the lead baker will be moving back to Vermont this week (bon voyage, Jenne!). Wish me luck! And have a fabulous week, yourselves! When I was in junior high, I was a member of the choir. In addition to wearing a crisp white dress shirt, black slacks, and a bowtie with an elastic band for our performances, choir participation also included singing a host of songs that have left indelible marks on my adolescent memory. It was in choir that I learned all of the lyrics to "My Favorite Things." It was in choir that I also learned the holiday diddy "Christmas Is a Feeling." I couldn't shake this song. I sang it all during the holidays, I sang it in July. Even today, I'm sitting here humming it in my head, telling you about it. The song isn't especially well written, the medley isn't particularly riveting. What got me the most about this song, and resonates with me still today, is the ending refrain: "If Christmas is a feeling, bringing such good cheer, then why O why don't you and I try to make it last all year?". Which brings me to Earth Day. Today marks the 40th anniversary of the holiday. Founded in 1970 by Wisconsin senator Gaylord Nelson, Earth Day was initially created as a means of inspiring awareness of and appreciation for stewardship of our planet and all of its inhabitants and ecosystems. While that mission remains true today, I would amend it to include a call for daily, consistent, conscientious action on the part of all of Earth's inhabitants. We've really only got one world, as the Black Eyed Peas so poetically detail it. Like the holiday song I learned so long ago asks, if the message of Earth Day brings such good cheer (along with cleaner oceans, skies, arable lands, and so, so much more), then why don't you and I try to make it last all year? Let's make Earth Day everyday. Beginner's cheeses, including (clockwise from top left): feta, mozzarella, cottage cheese, and chevre. Saag paneer with hot, toasty naan. Chevre and port spread with a maple, pecan, cranberry, & rosemary topping-SO. GOOD! Cucumber & Yogurt soup with mint and dill; perfect for the dog days of summer. Strawberry, Chevre, and Balsamic Vinegar ice cream. Whew! What a whirlwind week! After landing a new part-time baking gig on Monday, I jumped headfirst into a frenzied few days of baking, cooking, prop acquiring, and equipment gathering. Bright and early Thursday morning (by which I mean, REALLY bright and early-I was up at 5:30 a.m. making a batch of curd destined to become gorgonzola), we (being my editor, photographer, creative art director-Chris Bryant of Lark Books, and myself) began a feverish race to the deadline on the third book in the "Homemade Living" series, "Home Dairy" (Lark Books, Spring 2011-also the release date of book #4, "Keeping Bees"). Somehow or other, we did it. We took every shot necessary to complete the book, styled every dish just so, and managed to find time to nosh a few bites ourselves along the way. The book is going to be beautiful, truly. I cannot be held responsible if you should find yourself licking the pages (although I'd certainly love to hear about it!). We'll begin work on the photographs for "Keeping Bees" in late May/early June, when we'll start kicking out our strategic efforts all over again. I took the week off from my "Small Measures with Ashley" column on Design Sponge so that I could focus all of my efforts of the photo shoots. Right now, I'm making frosting for this cake, to share my mother, grandmother, brother, sister-in-law (due with their first child in June-yeah!!! First grandchild for the family, too!!!) and husband this afternoon at this park after having a big family lunch here. Later tonight, I'll be saying happy birthday to this super talented, warm-hearted, always-fashionably-turned out lady. Tomorrow, my dear friend Jenny (who just started up an awesome bicycling school) is making a split from one of her hives, which I'm hoping to stop by and watch, along with getting some work done in my garden. And then Monday morning, at 5:00 a.m., I'll begin my time at Short Street Cakes. Maybe on Tuesday I'll find time to catch my breath! I've loved to bake for as long as I can remember. Two childhood memories exist at the very close edges of my baked-good memory. First, I recall whipping up an absolutely frightful sponge cake, covered in a thick, sugary, artificially-dyed red glaze, baked in a heart-shaped pan for my mother. She consumed it with gusto, complementing my efforts all the while, although I feel, with somewhat certainty, that my concoction went down like a ton of bricks, and probably tasted like them, too. Secondly, with a much higher degree of success, I made a pecan pie. I used a pre-made Mrs. Smith's pie crust and packed my pie with plenty of dark Karo corn syrup. It was sublime. I recall with absolute clarity impatiently waiting for it to cool. For whatever reason, I'd put it on top of the washing machine in our porch/laundry room. I kept returning again and again, yearning for it to cool to the touch so that we could all dig in. As I've aged, I've tried my hand at all manor of baked goods. From wedding cakes to yeast breads, brownies to cookies and so much more, if it's a baked good, I'm a fan. I've even channeled this affection into employment in the past, working in the production bakery kitchen of a large natural foods store and baking cakes, pies, crepes, and other baked goods when serving as manager of a local bed and breakfast. I also worked in a bakery in college, where I first developed a fine love and appreciation for challah, pain du chocolat, fresh croissants, biscotti, and much, much more. Some passions never die. I recently read that Julia Child said that "you can never know everything about anything, especially something you love." I adore baking. When we travel, I always want to visit the confectioners and pastry shops and bread bakers. I want to ogle the cupcakes, sample the macarons, smell the salted caramels. I pine for an artisanal donut shop in my town. Fortunately, I have an active metabolism and a high degree of self-restraint, otherwise my devotion could morph into a liability instead of an asset. And so, it is with great enthusiasm, that I get to tell you today that I will once again be taking up whisk, mixing bowl, and oven mitt and baking professionally! My uber talented friend Jodi Rhoden and her adorable, retro, all-natural southern-style cake shop Short Street Cakes will be graciously adding me to their ranks beginning next week. Not content to simply bake some of the best wedding, special occasion, and cupcakes in town, Jodi is also embarking on a soon-to-be announced project with Lark Books (my publisher). She's a hard-working mom (4 year-old Jasper is super cute) with a wicked palate. She's also a total fashion plate (she can work retro dresses with unstoppable flair!) equipped with a quick wit, a hearty laugh, and some great tattoos. I'll be working part-time, dabbling in all facets of the shop, from baking and decorating to running the front of the store, gathering locally-sourced ingredients from area farmers, and picking up supplies as needed. I'd wanted a bit of outside of the home work ever since completing the manuscript for my fourth book ("Keeping Bees", Lark 2011) three weeks ago. However, after working from home exclusively for almost two years, I've become rather particular about what I'd like to do. Over a year ago, I'd taken Jodi a resume. Then, rather auspiciously this past Friday afternoon, she rang me up, mentioning some upcoming vacancies at the shop and wondering if I'd like to come on board. I can't tell you how thrilled I am to get back into the kitchen. While I'm always canning, culturing, whipping, or stirring something at home (for leisure as well as for the book series), it's another beast entirely to be in a bona fide kitchen, making cakes. CAKES! Could there be a more happiness-inducing vocation? Not only are you and your patrons on a sugar high, but you're creating edible memories, paying delicious homage to life's moments. I can't wait. And, if you're in Asheville, come by and show Jodi and the crew some love. The cupcakes are always fresh, the coffee is stellar, and the staff is ready to see you, myself included! Oh! I almost forgot to mention that my "Small Measures with Ashley" post is up on Design Sponge. This week I chose to give a "quick and dirty" introduction to keeping chickens (or chicken tendering, if you will! 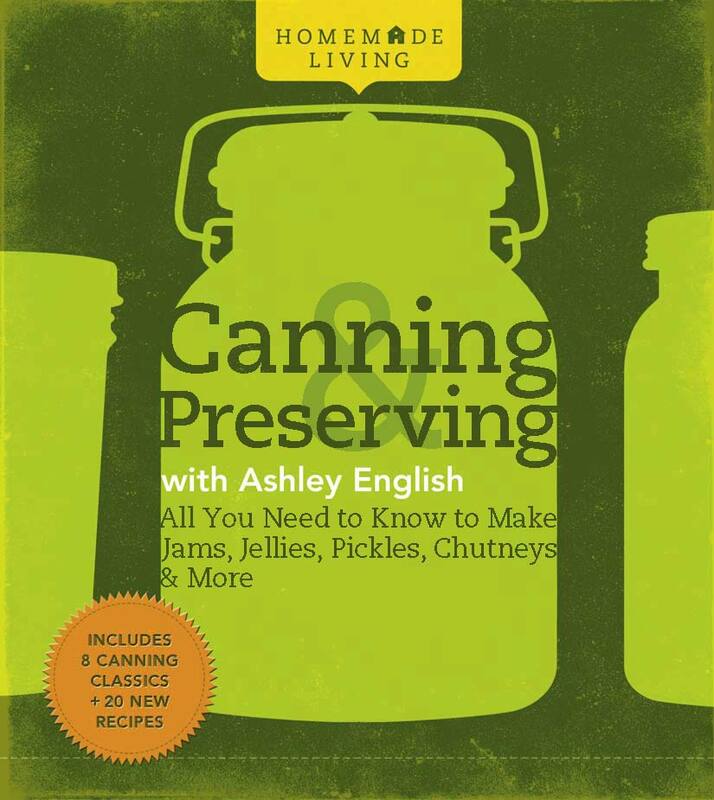 ), as the topic dovetailed with the release of my "Keeping Chickens" book (book #1 in the Homemade Living series; book #2, "Canning & Preserving" made its debut this week, too) this past Tuesday. 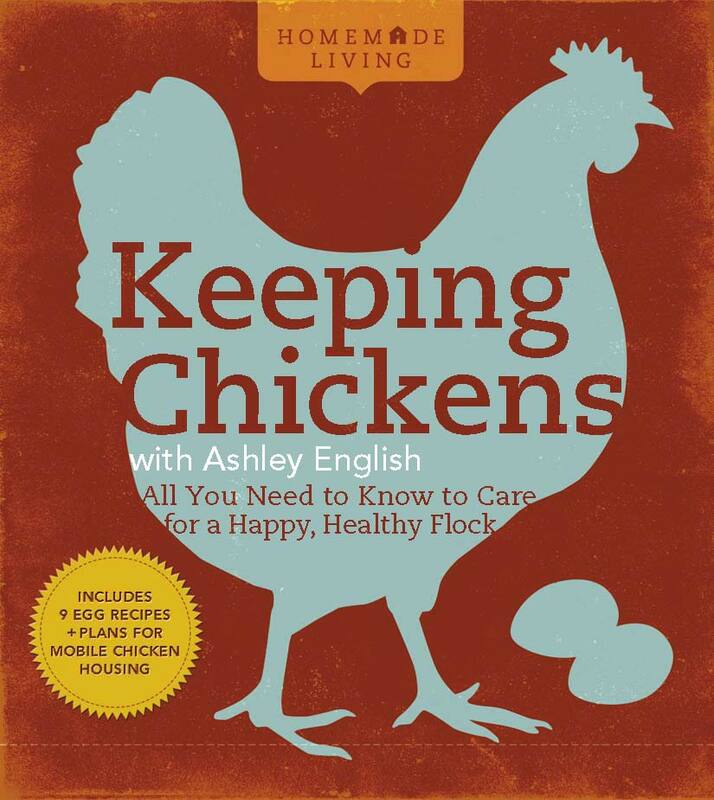 If you don't yet have chickens, I'd suggest my book as a great hand-holding primer to get you started. And if you've already got a crew of fine feathered friends, there's plenty in there for you, as well! Psst...my buddy Jenna Woginrich is giving away a copy of my book over at her phenomenal homesteading blog Cold Antler Farm. The contest runs through tomorrow evening, so stop by, tell her "howdy", and try your hand! When I was young, I moved around. A lot (long story). This resulted in my attending 8 different schools. While that might have proved challenging to some, I found it as an opportunity to make friends. Lots of friends. The first high school I attended (for all of freshman year and part of sophomore) was Fort Walton Beach Senior High, in Fort Walton Beach Florida. There, I became fast friends with three intrepid young ladies, Alicia, Jennifer, and Christie. All fastidious students, we shared a number of classes, including Honors English and Journalism. As our friendship grew, we each began to express what we'd like to do when we grew up (we were pretty precocious, not to mention more than a tad nerdy). Only 15 at the time, Jennifer knew she wanted some sort of career in the sciences, while Christie aspired to become a surgeon. Alicia and I (and I think maybe Christie, too-that part is a bit foggy...), in addition to sharing academic interests, shared a love of theater. Once, while rehearsing for the play we both had roles in (...And Stuff by Peter Dee), Alicia and I missed curtain call. We were backstage, tears running down our cheeks, sharing our earnest, 15 year-old desires to change the world. Alicia wanted to become the first female president. I wanted to get everyone in the world to recycle. We meant it. We had conviction. We were determined, all four of us. Which brings me to the real reason for today's post, Lynn Hirshfield's new book "Girls Gone Green" (Puffin Books). When I first received an e-mail in my inbox several weeks ago from Lynn's publicist, I remember saying to myself, "Why does that name sound so familiar?" Turns out, Hirshfield (senior vice president of publishing at Participant Media Productions) is the award-winning television and film producer behind such tour de force pieces as "An Inconvenient Truth", "The Kite Runner", "Charlie Wilson's War", "Darfur Now", "The Soloist", "Food, Inc.", "The Cove", "The Informant!" and the PBS series "Wishbone." She's also an enormous proponent of environmental stewardship and is an advisory board member of "Teens Turning Green", as well as a judge for the Environmental Media Awards and the Brower Youth Awards. Her newest book (Hirshfield has also penned two children's books), "Girls Gone Green", documents young women, both famous and not, who are making profound differences environmentally. Showcasing the efforts of everyone from Hayden Panettiere (a tireless advocate for whales), to actresses Rachel McAdams, Mischa Barton, and Ellen Page (an avid gardener-who knew???) as well as a wide range of average Janes making noise in their communities (as well as their nation), the book oozes inspiration. While written for girls ages 10 and up, the stories are really largely gender neutral and would prove equally motivating for boys. Arranged by cause ("recyclers", "animal advocates", "educators", etc. ), "Girls Gone Green" is an easy read, packed with clear direction and easily achievable steps for aspiring future stewards of the land and skies. Had I encountered this book at 15, I would have sighed with gratitude for knowing there were other tree-huggers like me out there. Now more than twice that age, I'm still fighting the fight, swelling with enormous pride for the growing number of compatriots to be found. Have you seen the new BBC cooking show "The Delicious Miss Dahl" from Sophie Dahl? The very definition of smoldering, she positively lights up the screen. And she's cheeky, as well (love me some cheekiness!). And the haddock, cheese, creme fraiche omelet looks divine, to boot! A quick walk around a small bit of our property this evening evidenced an astounding display of re-emergent life. Ever resilient, the harshness of this past winter is no match to the latent fervor pulsing through the fibers of plants, trees, bushes, and beyond. For me, it's proof positive that hope truly does spring eternal. What's popping up in your 'hood? *To see many, many more images from my saunter, go here. The sun is cresting up over the mountain ridge behind my house. The chickens are pecking merrily in their yard. The cats have had their breakfast and are grooming themselves to spotless perfection. The dogs are wrestling, working out their pent-up energy from a long night's rest. The bees are abuzz, gathering nectar and pollen from any and every available source. I'm eating yogurt, enjoying the freshness permitted by a house whose almost every window is now open (admittedly, a bit chilly at this hour, but I'll gladly suffer in silence). It's a good day, friends. It's made even better by the fact that today marks the official launch date of the first two books in my Homemade Living series. While those who pre-ordered will have already received their copies and Barnes & Noble stores, too, have had the books up on their shelves for several weeks (B&N is my publisher's over-arching parent company), today is the official launch date. From local, independently owned mom and pop shops to public libraries and beyond, the Homemade Living series is now bona fide. Certified. Fully legitimate. Yours for the purchasing. How bizarre to think that this whole endeavor began with a suggestion from a trusted friend (who would go on to become my editor) almost two years ago. I was leaving a reliable job, ready to take a leap of faith into the unknown. I left behind a steady paycheck, an office full of beloved co-workers, and any semblance of a regular schedule. When I was younger, I aspired to be a stay-at-home writer. Having no idea how that's achieved, however, kept me from pursuing such a career path. Little did I know that the seed had already been planted. It just needed time to germinate and come to fruition. It's been a wild ride, full of surprises. And there's more to come, with two books ("Home Dairy" and "Keeping Bees") slated for next spring. If the first two books prove successful, fingers crossed, future books might be in the works, as well. A big, mushy, sincerely heartfelt thank you goes out to everyone who has contributed to the realization of this series. A similar high-five and robust digital hug to all of you who stop by small measure regularly. This process has made the world seem a lot smaller than it sometimes appears to be. And, for a now stay-at-home writer tucked down a dusty lane in a forested cove, that means the world. *If you enjoy the books, I invite you to share your literary love with the world! Seriously. Any reviews you feel compelled to offer, whether on Amazon, Barnes & Noble, Powells, or Good Reads, are more than welcome! Happy Friday, friends! My "Small Measures with Ashley" post is up on Design Sponge. Today's topic discusses "Transition Towns", regions worldwide, both small and large, that are adapting vicinity/community-wide measures to prepare for global climate change and peak oil (the time when cheap oil availability diminishes and ultimately ends; the time frame is widely debated regarding when this will occur). I've been massively motivated and inspired by the concepts behind Transition Towns. I hope you will, as well. Wishing you all a relaxing weekend. Mine will be characterized by time in the garden, tending to my two beehives, and, hopefully, languidly drinking copious amounts of homemade lemonade on the patio. Cheers!